Both station designs existed in the 2011 plan (center platform versus streetside platform). This station design may actually be used in some other sections of the Hamilton LRT (disembark against side of street). 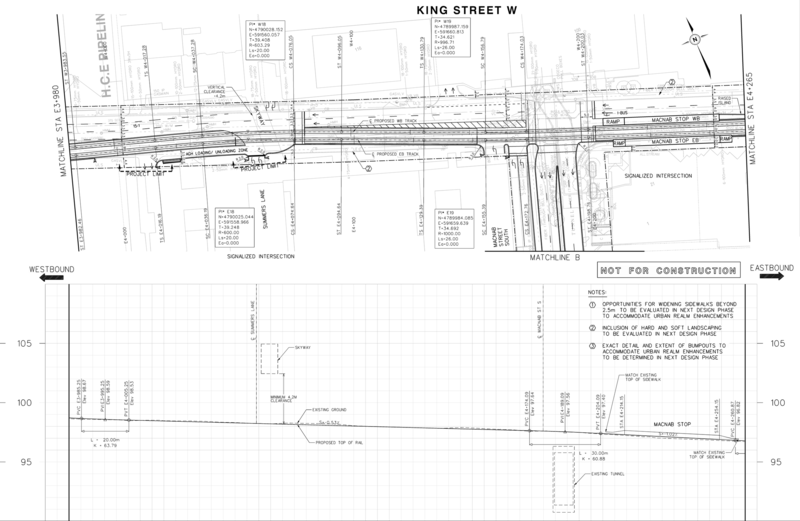 It was that design at the Gore Park station, at least in the 2011 plan.